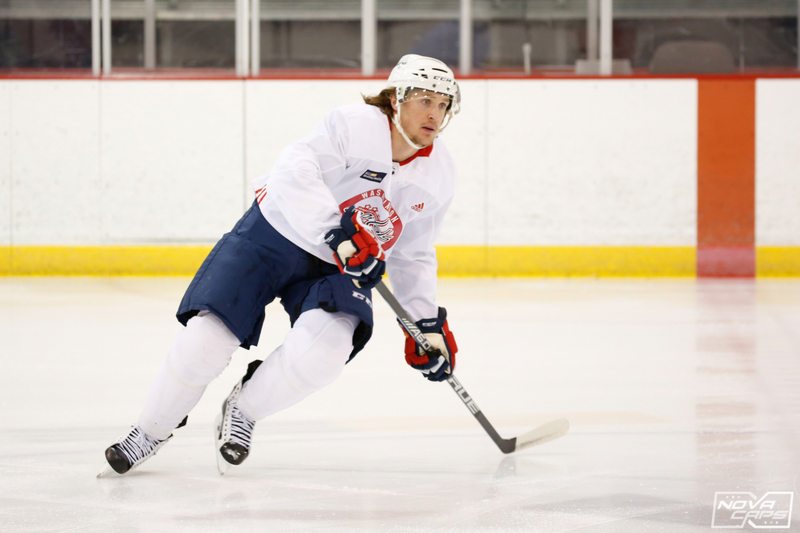 The Washington Capitals held practice Monday morning at MedStar Capitals Iceplex, a day after completing the New York weekend sweep over the Islanders and Rangers. With the weekend sweep, the Capitals returned to the top of the Metropolitan Division, two points ahead of the New York Islanders. Capitals bench boss Todd Reirden met with the media following today’s practice. Reirden was asked if the new additions of Carl Hagelin and Nick Jensen can have a big impact on the defending Stanley Cup champions. “Yeah, I think they have already…when they both play we win”, referring to the fact that the Capitals are undefeated with Jensen and Hagelin both in the lineup. “To me, todays practice was at a really high pace, and those are two guys that push the pace of practice. They made our practice pace, for me, better”, said Reirden. It remains to be seen if Hagelin and Jensen, both noted for their speed on the ice, will be the final pieces to push the team over the top, but the extra push in practice may be something the team needed. The team will hold one more practice tomorrow (Tuesday) at MedStar before departing for Philadelphia ahead of Wednesday night’s tilt with the Flyers. This entry was posted in News and tagged Carl Hagelin, Nick Jensen, Todd Reirden. Bookmark the permalink.